NOW SOLD Fabulous home to move in now, and extend your assets over time with this two street frontage property. Over half an acre (2739m2) very private with extensive gardens. Queensland character two storey, three bedroom, two bathroom home. Lock up garage and carport for 4 cars. Set up your home based business or hobby in the separate studio, with separate entrance. The two storey house has a huge living area downstairs with slate floors, a good sized kitchen with an electric stove. Two bedrooms on this level plus the bathroom, separate toilet and laundry. Upstairs is a huge open area with access to a deck overlooking the gardens. Also upstairs a double bedroom with built in robes and a fan. Outside there is another bathroom, a hobby room, treatment room or studio and a lock up shed and two car carport. Enter from a choice of two streets. All an easy walk to the shops, including the regular markets. This amount of land is one of very few of this size on the island. So the potential for building assets immediately or over time is high. Close to all local amenities including the golf club and jetty. 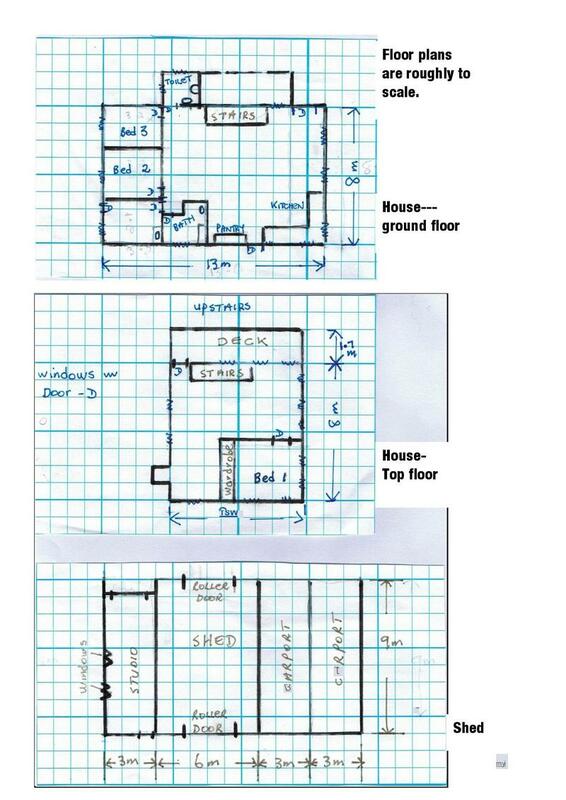 See the floor plan for layout.